Every day is a school day. Beer school that is. Check out our new round of classes. 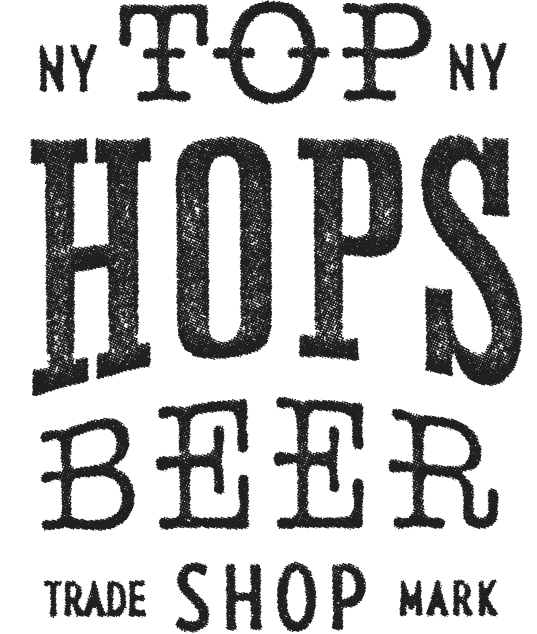 Top Hops is a beer shop, tasting bar and cultural center for craft and import beers, all in one establishment, located in New York's Lower East Side. It’s the kind of place where seasoned beer geeks can share their enthusiasm and new craft beer fans can learn a bit more about the magical combination of hops, yeast, barley and water. More than a bottle shop, more than a craft beer bar, Top Hops is a celebration of beer, and the good people who brew it. Our shop is located directly across from the Tenement Museum on Orchard Street. Our environment is simple and cozy, with space to browse over 700 bottles and cans from around the world. Join us at our tasting bar where you can sample a flight of freshly poured beer, try out a bottle from the fridge, all while enjoying some beer friendly local bites. We will happily fill up a growler of fresh beer for you to take home to enjoy later. Bring it back and fill it up anytime. Or try one of our new crowlers, a can filled with fresh beer, ideal for your next picnic. Top Hops offers more than just great tasting beer. We host a wide range of educational events, book signings, brewmaster visits and food pairings. We foster appreciation for the craft and history of great beer. We are merchants AND advocates. Love Beer? Want To Learn More About It?